Chia pudding is an easy "feel good" treat that anyone can prepare. 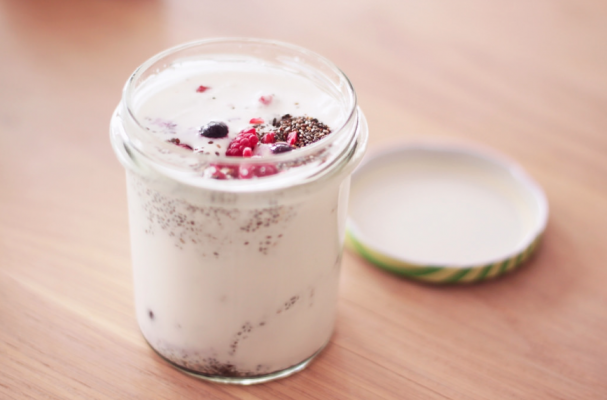 Chia seeds can absorb liquid up to ten times their size which works wonderfully as a natural thickener. The seeds are combined with coconut milk and topped with fresh winter fruits. If you are feeling indulgent, add a few shards of chopped chocolate. Step 1: In a large bowl, add coconut milk, yogurt, chia seeds, vanilla bean paste, honey and salt. Whisk ingredients together until well combined. Cover the bowl with plastic wrap and let sit 6 to 8 hours or overnight. Step 2: When serving, spoon pudding into cups and top with grapefruit segments, pomegranate seeds and sliced almonds. Garnish with chocolate, if using.